Get your tissues ready, your zip up hoodies on, and your best friends close – it is time to see Mac Demarco at the Telegram Ballroom. This Canadian singer-songwriter has taken the states by storm with his delicate “slacker rock.” Demarco first came to the attention of American audiences on the Eric Andre show after the release of his second album Salad Days in 2015. Since then he has released mini-albums, EPs, and in May 2017 he released his latest album This Old Dog. 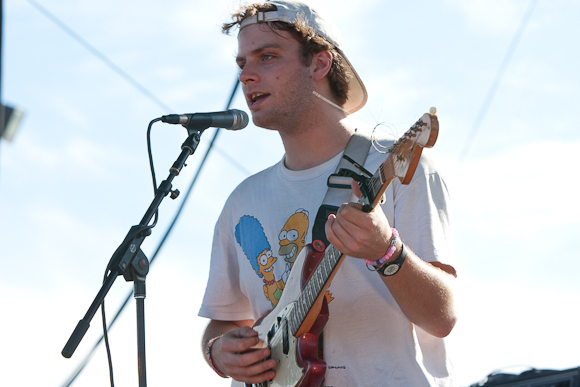 Immediately after his performance in San Francisco at Outside Lands this August, Mac Demarco is making his way down to Southern California to perform three nights at the Teragram Ballroom. The singer songwriter will be there Wed Aug 22nd, Thurs Aug 23rd, and Fri Aug 24th. He already has a sold out night at the Hollywood Palladium, so don’t miss your chance to get tickets now!